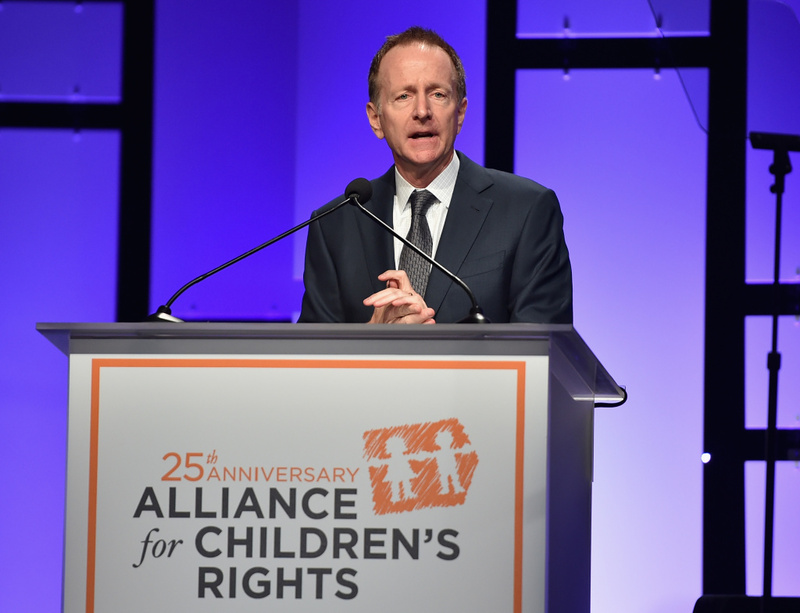 Austin Beutner attends The Alliance For Children's Rights 25th Anniversary Celebration at The Beverly Hilton Hotel on March 16, 2017 in Beverly Hills. Austin Beutner — a former investment banker who, having already made his millions, has immersed himself in the civic life of Los Angeles in recent years — will be the next superintendent of the L.A. Unified School District. 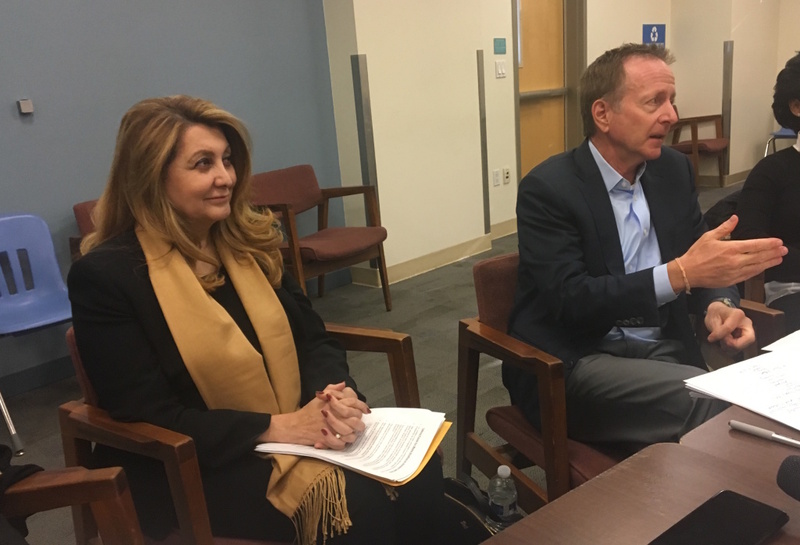 L.A. Unified board members announced Tuesday they had voted 5-2 to ratify a three-year contract with Beutner, ending a three-month search for a new leader for the nation’s second-largest school system. Board members George McKenna and Scott Schmerelson were the only votes against. Beutner, 58, has no background as an educator. 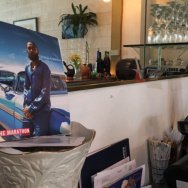 But in recent years, he has taken on a series of jobs that bridge L.A.’s public sector and business community. Beutner previously served as deputy mayor and as the chief executive at the Los Angeles Times. He’s currently the head of a non-profit organization and a task force advising L.A. Unified on a range of issues. In L.A. Unified, Beutner has found an even bigger challenge. The district is one of L.A. County’s largest employers, which has long contended with gaping achievement gaps in its student body. Financially, Beutner will have to contend with declining enrollment numbers and rising costs for employee benefits that threaten the district's shrinking budget surpluses. "The scope is as big as it gets" in L.A. Unified, said Robin Lake, director of the Center for Reinventing Public Education. "I can’t think of a more challenging school district in the country right now." "The opportunity before us now as this process has concluded," board president Mónica García said after the announcement, "is to roll up our sleeves, get to work. There are so many needs … L.A. wants to be the place where we serve all children well." Beutner will be L.A. Unified’s sixth superintendent in the past decade. The district’s last permanent chief, Michelle King, stepped down in January after announcing a cancer diagnosis. Board members chose Beutner over interim superintendent Vivian Ekchian, who also applied for the job, sources close to the search process told KPCC. FILE - Vivian Ekchian (left), acting superintendent of the Los Angeles Unified School District, conducts a press briefing alongside Austin Beutner, former L.A. Times publisher and head of an advisory task force for the district, on Tuesday, Dec. 5, 2017. Former Baltimore schools superintendent Andrés Alonso was also a finalist. But Alonso publicly withdrew his name from consideration last week, hinting in a cryptic tweet that he might be a finalist for a job in another school district (possibly Newark, N.J.). Another finalist — Louis Ferebee, currently superintendent in Indianapolis — pulled himself out of the search process earlier this month. The term of Beutner's contract begins on May 14. He'll be paid $350,000 annually. How are people feeling about the selection? In a statement issued soon after the board's session closed Tuesday afteroon, Schmerelson issued a statement apologizing to parents for what he termed a secretive selection process. 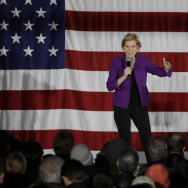 He also said Beutner's supporters rushed the vetting process and "refused to exercise due diligence regarding Mr. Beutner’s lengthy and tangled business affairs." Ahead of Tuesday’s vote, groups of parents, former public officials and representatives of the district’s influential teachers union, United Teachers Los Angeles, mounted one last-ditch attempt to convince board members to reconsider their choice. But Myrna Castrejón said that argument offered “a narrow view of Mr. Beutner’s resumé.” Castrejón leads Great Public Schools Now, a non-profit philanthropy that supports reform efforts in both charter and district schools. Related: New LAUSD superintendent Austin Beutner isn't an educator. Here's what we know about how he thinks about schools. Four former members of the L.A. Unified School Board delivered public comments criticizing the current board’s search process as too swift and too secretive — and current board member Ref Rodriguez for being involved in that process at all. Rodriguez faces felony criminal charges that, if convicted, could cost Rodriguez his seat. Rodriguez has pleaded not guilty to those charges, but has resisted calls to resign or remove himself from the search process. On Tuesday, Rodriguez voted for Beutner. Former LAUSD board member Jeff Horton criticized the board for moving forward without an apparent consensus, arguing that Rodriguez’s uncertain future undermines Beutner’s mandate. Other commenters told board members they were overlooking a well-qualified candidate in their midst: Ekchian, who has served L.A. Unified since 1985 as a teacher, principal and central office administrator. “You don’t have to go outside your own system when you have people here who know how to do the job,” said Roberto Fonseca, a member of the district’s Parent Advisory Committee. But other commenters said Beutner fit the mold of a “bold and courageous” new leader for the district — and framed his outsider status as an asset. “While he has a non-traditional background, the LAUSD must solve non-traditional problems,” said Ben Austin, leader of the Kids Coalition advocacy group, which is allied with various pro-charter and pro-reform funders. "Years of trying to solve seemingly intractable problems at what I don't think any board member would agree is an accelerated-enough pace," said board vice president Nick Melvoin, "requires some new, out-of-the-box thinking." Board member Kelly Gonez — who sources said was on the fence about voting for Beutner — offered a more measured statement of support. She said Beutner was "well prepared to address the fiscal crisis we are facing." But Gonez also said Beutner's "limited educational background is a significant issue, and I fully expect him to work with the Board and our talented district leaders to fill in those gaps to the extent possible." The L.A. Unified School Board’s most important job is to hire a superintendent. Traditionally, the board's role is to dictate a broader policy vision for the district. Then, the superintendent — who reports to the board and manages the district's day-to-day operations — is charged with executing the board's wishes. The job comes with a massive portfolio. More than 2,400 administrators, 26,000 teachers and 31,000 other employees in L.A. Unified all ultimately report to the superintendent. The district’s $7.5 billion operating budget is one of the largest for a government agency in Southern California. As superintendent, Beutner inherits an enormous instructional challenge. L.A. Unified contains some of the state's top-performing schools as well as some of the state's most academically-troubled. The vast majority of L.A. Unified students are poor. The district's test scores lag state averages. One in five L.A. Unified students qualifies as an English learner. Graduation rates are up significantly, but college readiness rates are not as high. Beutner also inherits a balanced budget — at least for now. L.A. Unified officials project surpluses through 2019-20. However, there’s a creeping sense that the district's string of good financial fortune could be coming to an end. L.A. Unified officials tend to be pessimistic in their budget projections — overly so, some budget watchdogs would contend. But L.A. Unified can no longer count on marginal increases in its state revenues every year — as the district was able to do during the rollout of California’s new school funding formula over the past five years. That means less wiggle room in L.A. Unified's budget, even as pension costs balloon and employee health care costs top $1 billion. Compounding the challenge: L.A. Unified leaders are currently not saving enough money to cover the long-term costs of health care benefits they've promised to the district's retired employees. According to a new projection, the district's 'unfunded liability' for these benefits over the next 30 years adds up to more than $15 billion. Austin Beutner was already firmly-established in the world of high finance when he moved to Los Angeles in 2000. Michigan-raised and Dartmouth-educated, he began his career at Smith Barney in New York. By 29, Beutner had made partner at Wall Street powerhouse The Blackstone Group. By the early 1990s, Beutner told L.A. Magazine that at age 33, he had made "enough money not to have to work for the rest of his life." Beutner moved to Russia in 1994 to work for the Clinton Administration’s State Department. In 1996, he returned to the states to help found an investment bank, Evercore Partners. It was the opening of Evercore's West Coast office that brought Beutner to L.A. four years later. When Evercore went public in 2006, he is believed to have made more than $100 million from its IPO. Beutner parlayed his connections to several big players in the city — including billionaire philanthropist Eli Broad, a noted supporter of charter schools — into a high-profile job in Mayor Antonio Villaraigosa’s office in 2010, L.A. Magazine reported. Beutner's formal title — a new position crafted for his skills — was "First Deputy Mayor and Chief Executive for Economic and Business Policy;" but informally he was known as Villaraigosa’s "jobs czar." In 2011, Beutner launched a bid to succeed Villaraiagosa as mayor, but withdrew from the race in 2012. In 2013, Beutner joined what was Eli Broad’s second attempt to purchase the Los Angeles Times, though that bid stalled out. The next year, Beutner was named publisher and CEO of the Times, but served only 13 months in that role. The newspaper reported in 2015 that Beutner was fired over disagreements with Tribune Company over whether the Times and San Diego Union-Tribune should be spun off from the Chicago-based publishing giant. How did Beutner get involved with LAUSD? In July 2017, it was announced Beutner would co-chair a task force to advise L.A. Unified’s then-Superintendent King on matters of broad strategy. They have already released recommendations asking for an outside analysis of the district’s property management strategy and pushing the district to be more transparent with the community. At the panel’s recommendation, district officials have already sent direct mail on the importance of student attendance to more than 10,000 households, launched public awareness campaigns and canvassed neighborhoods. Beutner has said the point of the task force was not only to study the district's operations, but offer concrete plans of action.